» Baby Boxes: How Safe Are They? One of the scariest parts of parenting is putting your child to sleep at night. During the day, you are able to watch them at all times. When you put them to sleep they are in a different bed, sometimes in a different room, being incredibly quiet. You will not be able to tell immediately if something is wrong. While it is unlikely that any harm has come to your child at night, the best way to ensure this is to take every safety precaution you can while you are awake to ensure that your child is sleeping safely. Naturally, one of the most obvious but also most important questions to ask is what your child will be sleeping in. What is the safest kind of bed for an infant to sleep in? One kind that has been on the rise in recent years is a baby box. Baby Boxes are just that: small boxes that your baby can sleep in. They are able to store some child-care essentials underneath such as diapers. There has been a lot of debate as to the safety of these baby boxes. Are they really the safer way to go, or are they actually more dangerous overall? These baby boxes originated in Finland. When mothers give birth to a child they are given a baby box. Each box is equipped with a variety of different child care products and the box itself. This generous and open-minded approach to child care should be applauded. Baby Boxes definitely have a large benefit. Firstly, they are incredibly affordable. While a baby’s crib can quickly become incredibly pricey, baby boxes tend to keep the price down. They are made out of an incredibly affordable material so they are accessible to just about everyone. They are also, in at least one respect, relatively safe. A crib is situated higher off the ground. If any part of the crib breaks, there is a higher risk that your baby will fall to the ground. With a baby box, the box is already situated on the ground. Therefore, there is less risk of your child falling from a distance. There are safety concerns that come with these baby boxes as well. One of these concerns stems from a simple lack of knowledge. Due to the design of the boxes, they cannot be put under the usual safety tests that are required of a conventional crib. Therefore, these boxes are considered safe not because of testing but because of an inability to prove them unsafe. While this should not be a reason to throw the baby box out with the bathwater, it should be enough to raise a bit of a red flag. While the baby box itself may be relatively safe, the design lends itself to easy and dangerous misuse. For example, it is incredibly easy to use the baby box to carry your baby around the house. This action, however, is incredibly unsafe. Furthermore, while the box is very affordable, it cannot be used for a great length of time. It will likely be very quickly outgrown by your infant. It also should only be used for times of light sleep or naps. It should not be used overnight due to the relatively flimsy material of the box and the limited space. As your baby begins to become more and more active, they will need more space and more durable walls. Baby boxes are wonderful inventions that provide a level of intimacy and affordability to your baby and you. However, the numerous and untested safety concerns pose a problem. There must be a way to reap these advantages without compromising safety. The solution can be found in a different style of infant sleep structure: co-sleeper cots. 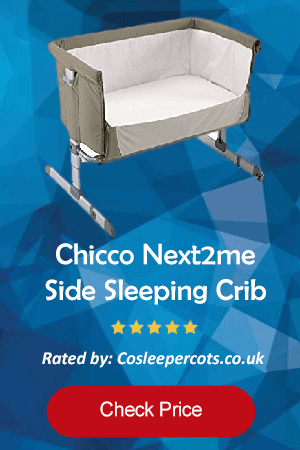 Co-sleeper cots are smaller than cribs and most bassinettes, and they are able to attach directly to your bed. These smaller sleeping spaces offer a cozy level of comfort to your infant while still providing them a stable structure with room to grow. The co-sleeper cot is also more affordable than a regular sized crib. You can have your child sleeping soundly without breaking the bank. This style of bed helps to offer the advantages of the baby box while amping up the security to a testable level which gives you peace of mind. You also have the added benefit that it fits right alongside your bed, meaning you won’t even need to lean down to reach your baby at bedtime. These co-sleeper cots are tested both to be incredibly safe and incredibly comfortable. With them, your infant will be sure to get a safe and sound night’s sleep. 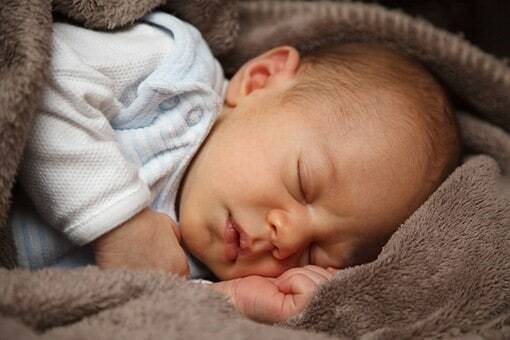 When your infant is sleeping soundly through the night, that means that you will too. While co-sleeper cots are not the most conventional infant sleeping structures on the market, they are worth looking into. They are just like bigger, safer baby boxes. They help to mesh all of the advantages of the various types of sleeping structures into one bed that you can be confident in. Not sure which one would be right for your family? Our CoSleeperCots review website provides thorough reviews, buyers’ guides and blogs to help parents know which co-sleeper cots would work best for their families. Be sure to check out or site today.